If you have a website that you anticipate many hits on, or if you have scripts that you are unsure can handle the pressure, it’s good to run a load test. Load testing is basically a way of virtually spinning up multiple instances of “fake” people to hit your site all at once. This will figure out and identify where you may be having bottleneck issues and where or if there would potentially be issues when serving up data to many people. You can find a few of these load testers online as they are becoming more popular. Try out: loadimpact.com on your website and see what results you get. They provide very nice graphical data for the types of media that take up most of your downloadable content. 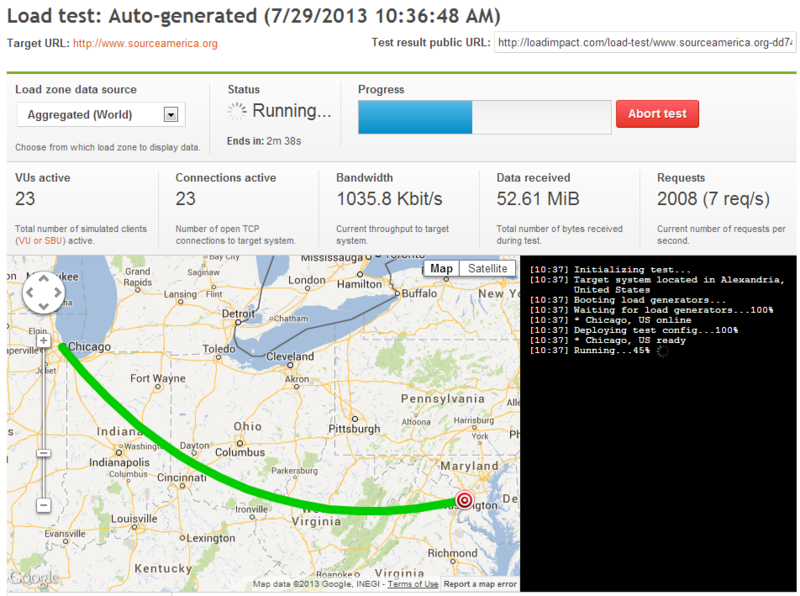 They also provide the speeds at which your server responds compared to the number of requests made at one time. You can also isolate the time that this load test takes place to watch some behind the scenes logging. Munin and Nagios are great Linux tools that will help monitor your internal network statistics. Great way to be “load” conscious. This entry was posted in ***, Architecture, Cloud Computing, Clusters, DIY, Internet, Linux. Bookmark the permalink.